Has the health, function, and appearance of your smile been significantly compromised by decay, infection, or injury? Besides low self-esteem, the issues also impact your quality of life. Did you know you can rebuild your smile with full mouth reconstruction in Astoria? This involves specific procedures catering to your individual needs to improve the aesthetics and function of your teeth. Dr. Eduart Shkurti and his dedicated team provide the high-quality services you need to invest in your oral health. Full mouth reconstruction uses a combination of restorative procedures to improve the health, function, and appearance of your teeth. The process involves rebuilding or restoring most or all the teeth in the upper and lower jaws. The treatments that are used cater to your specific oral health problems, such as tooth loss or cavities. 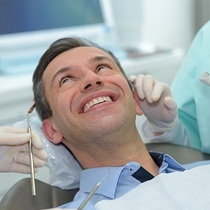 Your dentist in Astoria performs a comprehensive consultation to assess your oral health needs. Full mouth reconstruction is often recommended for those who have multiple missing teeth, large areas of decay, cracked or broken teeth, or badly worn teeth. It can also help those who have certain conditions, like ectodermal dysplasia. The process to rebuild your smile can take several months because it will consist of various steps. Each treatment or procedure is conducted at a specific time during your transformation process to ensure the final results. 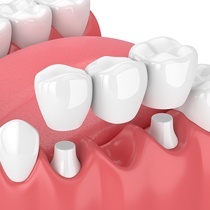 Dental Crowns: Placing the protective cap over a tooth restores its health, function, and appearance. They can be used to treat severely decayed, broken, or worn teeth. 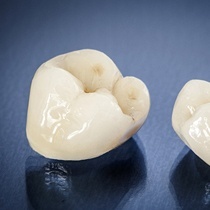 It is common for crowns to be used with other procedures, like a root canal or bridge. Dental Bridge: One to three consecutive missing teeth can be replaced with a bridge. Prosthetic teeth are crafted to fill the empty space. It is held in place by attaching dental crowns to the adjacent teeth. Tooth-Colored Fillings: Tooth decay is treated using a composite resin material that is customized to match the color of your enamel for natural-looking results. Root Canal Therapy: An infected tooth at risk of extraction can be saved by removing the inner layer of the tooth, called the pulp. The tooth is sterilized and sealed before placing a dental crown over it. Tooth Extractions: Severely compromised teeth may need to be removed. Partial & Full Dentures: Missing teeth can be replaced with a full or partial denture. New advancements in dentistry now allow them to look and feel more natural than before. The amount you pay is based on your individual treatment plan and which procedures are needed. We help you maximize your dental benefits to reduce the amount you need to pay out-of-pocket. To cover any remaining balance, we accept a variety of payment options, including CareCredit. If you are ready to rebuild a beautiful smile, contact our office today to schedule your consultation.